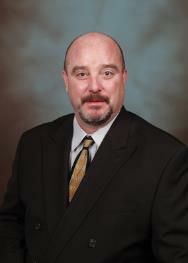 Brian has been a registered financial advisor since 1995 and holds Series 7, 63 and 65 registrations. Brian also holds life, accident and health insurance licenses. Brian works closely with clients addressing their investment-planning needs including education, retirement and estate-planning strategies. Brian is a graduate of Pennsylvania State University. He is a member of the Greater Pittsburgh Business Connection networking group and he is active in charity events with other Heberle, Helm, Ferguson Group colleagues throughout the year. Brian, his wife Jenna, and their four children live in Murrysville. 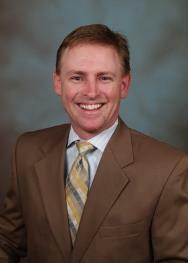 Dustin has been a registered financial advisor since 1992. Dustin holds Series 7, 63, 65 registrations, and is licensed in life, accident and health insurance. Dustin's experience enables him to excel in many areas of investment planning. He also provides on-site 401(k) education to corporate clients and their employees. Dustin is a graduate of the University of Pittsburgh. He lives in Murrysville with his wife, Lisa, and their three children. Dustin is a local honorary ambassador for the Muscular Dystrophy Association and has organized a charity golf outing every year since 1994. 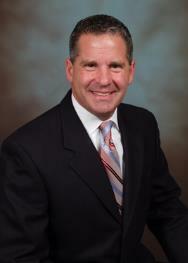 John has been a registered Financial Advisor since 1986. John holds Series 7, 63, 65 registrations, and has life, accident and health insurance licenses. He has developed a diverse knowledge of economic conditions in the financial markets. John is responsible for the coordination and production of a series of educational seminars and workshops for current and prospective clients. John is a graduate of Pennsylvania State University with a B.S. in Finance. 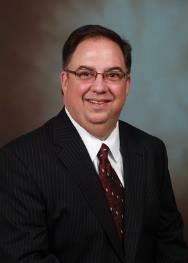 He is a member of the Monroeville Chamber of Commerce and is very active in St. Bonaventure Parish Music Ministry. John lives in the North Hills of Pittsburgh with his wife, Amy, and two daughters. 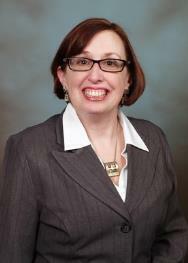 Leslie has been in the financial services industry since 1985. She holds Series 7, 63 and 65 registrations and is a Registered Paraplanner®, a designation awarded from the College for Financial Planning. Leslie has a depth of experience and is often the first point of contact for clients. She leads the group's operational activities and provides specialized services to the group's valued clients. Leslie has three children and resides in North Huntingdon with her husband, Chris. Jeff is the newest member of our team. Jeff previously served as an executive recruiter for a placement company headquartered in Pittsburgh, PA. He also is a veteran of the United States Air Force. He is responsible for implementation of marketing strategies and technology into the business plan. He is a graduate of Pennsylvania State University. He lives in the Mount Lebanon suburb of Pittsburgh with his wife Jill. Background and Experience: I began my career in 2010 with Wells Fargo Financial. Now a Financial Advisor with the Heberle, Helm, Ferguson Group of Wells Fargo Advisors, I take pride in working for a firm that puts you first. My mission is to help each one of my clients plan for a financial future in a way that best meets his or her goals. And my commitment doesn't end there. I have been an active member of the local community for over 10 years. Focus: As a Financial Advisor, I am dedicated to helping my clients meet their financial needs. Whether you are planning your retirement, saving for your children's or grandchildren's education, or looking to preserve your wealth, I can help. Comprehensive Investment Planning: Making sure your wealth continues to work in support of the goals you have established takes careful planning. Such planning is not a single event – it is a process. As your life circumstances change, so must the investment strategies I use to stay on course toward meeting your objectives. That is why I work with you, one on one, to design investment strategies targeted to your specific needs and goals. Retirement Income Planning: An aspect of retirement planning that's often overlooked is understanding how much annual income you should expect at retirement and whether that amount matches your expectations. I can help you determine which retirement income strategies may help you reach your goals – whether you hope to maintain flexibility and control of the principal, have opportunities to grow the principal or increase the income, or have enough income to last the rest of your life. Heritage of Client Service: Wells Fargo Advisors, which traces its roots to 1879, grew over the years through mergers with some of the industry's most respected regional and national firms. Throughout their histories, our predecessor firms were known for exceptional service based on trust and knowledge and for cultures that put client needs above all else. Wells Fargo Advisors offers an objective and holistic approach that provides ongoing financial strategies for all aspects of our clients' lives.